Last Saturday we saw 16 acts kick of the live shows on ITV…They each sung their hearts out to a collection of number one hits, in a bid to steal the limelight and to get votes to secure their place for week 2 of the live shows. For me there were definitely some really memorable performances, some due to the un-questionable talent and others down to the complete chaos on stage! I always find the start of the live shows a bit of a long winded process, and with so many contestants and a lot of adverts, I struggle to remember all the performances by the end of the show! I already have my 3 favoirites of this years competition: Andrea Faustini, Lauren Platt and Fleur East. Each of these acts have a huge amount of natural singing ability and when they are performing I feel they really own the stage and give 110%. I am also really intrigued by contestant Chloe Jasmin. I find myself slightly mesmerised by her, and almost feel like I am being transported to a different era when she performs; thinking Marilyn Monroe, smoke filled bar in a jazz club! I can imagine amongst the public she is a bit like Marmite, some will love her and some won’t. Either way, I think it’s great to have someone quirky, that can bring something different to this years show. On week 1 of the live shows we saw a double eviction and a swift exit for both Blonde Electra and Overload Generation. Who do you think will struggle to survive this Saturday? I think Stephanie Nala will have to pull something special out of the bag this week if she is to get the public behind her. 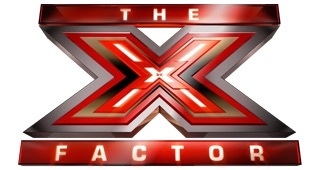 Who are you backing to win this years X Factor? Is it all about the voice for you, or are you looking to back the girl next door type like Lola who seems to want this more than anything. Who’s dreams will be dashed on eviction night..? Tune in this Saturday and Sunday on ITV at 8pm for the next instalment of singing shenanigans, the 80’s are coming! Don’t forget to vote in the Poll above, and feel free to leave a comment on which contestants you’re loving and who you have already forgotten! Previous Post Reviewing my empties! Next Post Motivational Monday… Some days we all need a little help.